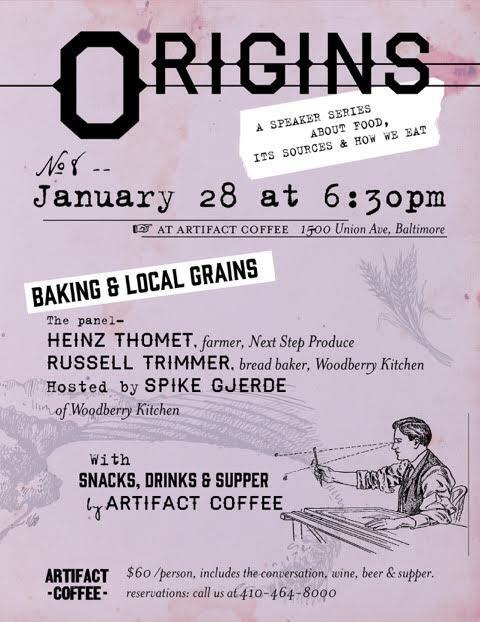 The 8th program in the ORIGINS series is about sourcing and baking with local whole grains. We are pleased to welcome Heinz Thomet from Next Step Produce in Newburg, who along with his wife Gabrielle, owns a 87 acre organic farm. Heinz grows and mills whole grains including wheat, oats, barley, and rye and is also one of the leading growers of field rice in Maryland. Our featured baker, Russell Trimmer, worked with Heinz for several years and learned as much as he could about whole grains. Russell is a tireless advocate for incorporating whole grains into your baking repertoire.